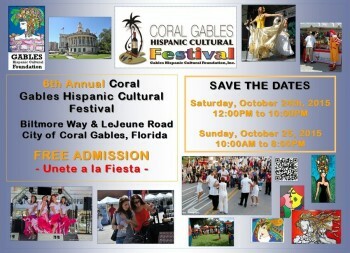 Organizer: Gables Hispanic Cultural Foundation, Inc. 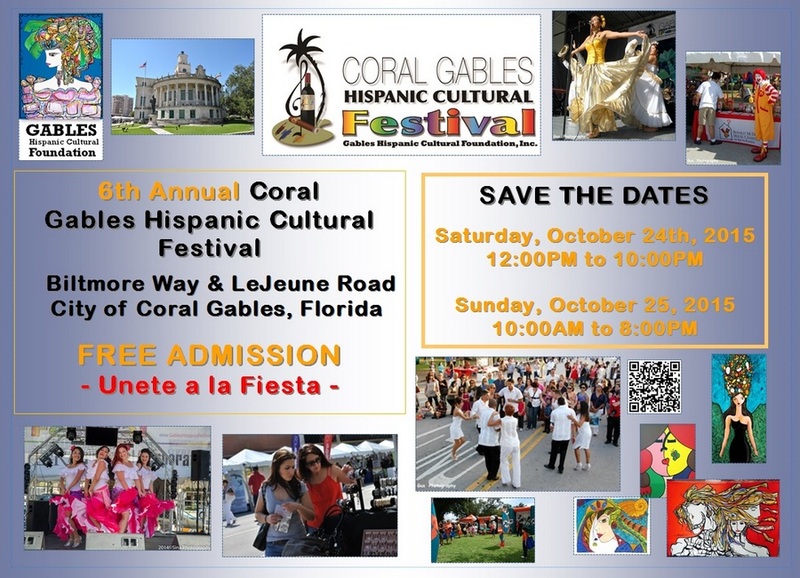 Call details: This two day street festival celebrates with local and international artists, musicians and businesses to promote their work, the arts and cultures in South Florida. Event dates are October 24 & 25 2015.